We are big fans of outdoor living and adventure sports. We push ourselves to constantly develop original content so we can explore unusual and exciting places in our brains. In the end, we hope to find new creative techniques and approaches that will ultimately benefit our clients. Beneath Blue Skies is a YouTube channel we created that encourages it's viewers to find new outdoor adventures. We explore several sports, from peaceful to extreme, all with appreciation and admiration for nature. Check out the videos below. 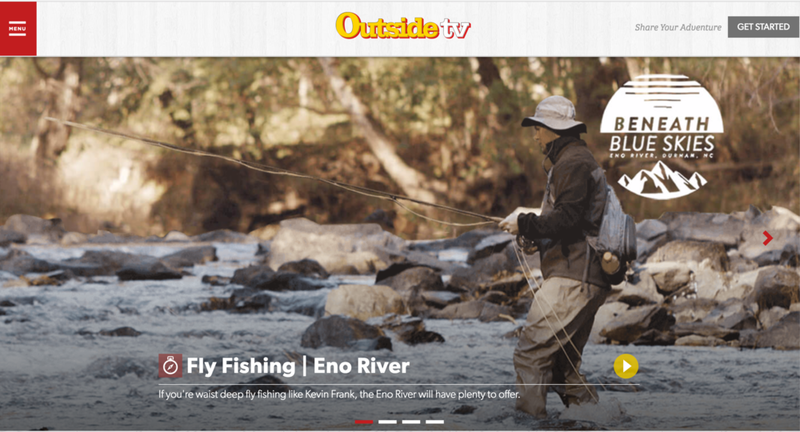 We uploaded all of our videos to OutsideTV's Campfire Hub. Without knowing, it automatically entered us into a 'best video' contest… and we won! After being contacted by the network, we sent them the original video file to be featured on their homepage. We decided to send them the the rest of our videos, just to see what would happen... and guess what? They ended up featuring 2 more of our episodes on their website and social media! In the end, we won some cool swag and a fun story to tell.